Niezależny Samorządny Związek Zawodowy “SOLIDARNOŚĆ” (Independent Self-governing Trade Union “Solidarity”), the owner of the figurative European Union trade mark EUTM no. 014026454, sued Czesław Mozil, a Polish singer known also as Czesław Śpiewa (Czesław sings), for the infringement of copyrights and personal interests. Mr. Mozil has recorded and published a song and a TV clip entitled “Nienawidze Cię Polsko” (I hate you Poland) in which the well-known and iconic “SOLIDARNOŚĆ” logotype was also presented. NSZZ “SOLIDARNOŚĆ” demanded 500.000 PLN of compensation. The District Court in Kraków in its judgment of 8 April 2016 case file I C 471/16 dismissed the case. The Court held that the logo was used in the video as a symbol of Poland and as a Polish identity, and not as a logotype that identifies a trade union, so there was no infringement of personal rights. Any attempts to limit forms of artistic expression would violate the constitutional principle of freedom of artistic expression. The judgment is not final. Categories: case law | copyright infringement | copyright law | personal rights or interests | Polish Act on Authors Rights and Neighbouring Rights | Polish courts | Polish District Court | Polish law | trade mark infringement | trademark law. The Polish Constitutional Tribunal in its judgment of 23 June 2015 case file SK 32/14 ruled on the unconstitutionality of Article 79(1)(3)(b) of the ARNR that provided treble licence fee for culpable infringement. The Tribunal held that this provision violated the right of ownership and the principle of equality under the law, by disproportionately burdening copyright infringer in relation to infringers of other rights. Categories: Art. 79 ARNR | copyright infringement | copyright law | Polish Act on Authors Rights and Neighbouring Rights | Polish Constitutional Tribunal | Polish courts | Polish law | remuneration fee. The Polish Constitutional Tribunal in its judgment of 17 February 2015 case file K 15/13 held that the contested by the Ombudsman provisions of Article 115 section 3 of the Polish Act of 4 February 1994 on Authors Rights and Neighbouring Rights – ARNR – (in Polish: ustawa o prawie autorskim i prawach pokrewnych), published in Journal of Laws (Dziennik Ustaw) No. 24, item 83, consolidated text of 16 May 2006, Journal of Laws (Dziennik Ustaw) No. 90, item 631, with subsequent amendments, is in conformity with Article 42 paragraph 1 of the Polish Constitution. Art. 115. 1. Any person who usurps the authorship or misleads as to the authorship of all or part of the work or performance of another shall be liable to a term of imprisonment of up to 3 years, restriction of freedom or a fine. 2. Any person who, without mentioning the creator’s name or pseudonym, discloses the work of another either in its original or in a derived form, or a performance, or who publicly distorts a work, a performance, a phonogram or videogram or a broadcast, shall be liable to the same penalty. 3. Any person who, with a view to making a material profit in a manner other than that specified in paragraph 1 or 2, infringes the rights of the author or neighboring rights within the meaning of Articles 16, 17, 18, 19 paragraph 1, art. 191, 86, 94 paragraph 4 or article 97 or without performing his duties as mentioned in article 193 paragraph 2, 20 paragraphs 1-4, 40 paragraph 1 or paragraph 2, shall be liable to a term of imprisonment of up to one year, restriction of freedom or a fine. The Ombudsman argued that the scope of criminal penalties set by provision of article 115(3) of the ARNR are too broad and unduly limits the rights and freedoms. The fundamental principle of criminal law – nullum crimen sine lege, is included in the article 42(1) of the Polish Constitution. The definition of a crime shall be strictly construed and shall not be extended by analogy. 2. Anyone against whom criminal proceedings have been brought shall have the right to defence at all stages of such proceedings. He may, in particular, choose counsel or avail himself – in accordance with principles specified by statute – of counsel appointed by the court. 3. Everyone shall be presumed innocent of a charge until his guilt is determined by the final judgment of a court. The Constitutional Tribunal held that the standard of definiteness of legal regulations, that is also included in the provisions of Article 42, does not preclude a margin of regulatory discretion by the state, within the criminal law. Therefore, this standard in the field of criminal regulation, although imposing higher requirements for the legislature, does not require clarity and communication to express prohibition or a legal order, to the absolute extent (judgment of the Constitutional Tribunal of 28 January 2003 case file K 2/02). The principle of definiteness (specificity) of the criminal law does not preclude the legislature to use unspecified or evaluative terms if their referents can be determined (judgment of the Constitutional Tribunal of 23 January 2003 case file K 2/02). In the case of the challenged provision of copyright law, the reference by the legislator to undefined concepts should be regarded as justified by the nature of copyright regulations, which are applied in dynamic and changing conditions in the era of new technologies. Thus, the legislator used the construction of the so-called substantive offence, i.e. an offense, which consists of the action of the offender and the result of the offense that is specified in the criminal law. In simple terms, it’s such a crime, which is determined the occurrence of a specific effect, and not the manner in which the offender caused that effect. Categories: Art. 115 ARNR | Art. 42 Constitution | copyright infringement | copyright law | copyright misuse | criminal law | Polish Act on Authors Rights and Neighbouring Rights | Polish Constitutional Tribunal | Polish courts | Polish law. The Appeallate Court in Warsaw in its judgment of 13 June 2013 case file VI ACz 856/13 dismissed the complaint against the order to submit technologically advanced equipment and software that supports electronic transactions, into the case file. The case was initiated by a Company that suspected its former licensee of using computer software despite the expiry of the license. Copyright infringement has to be properly proved by a plaintiff. In many cases, it does not require any excessive effort, especially when infringing products are already placed on the market by the defendant. Difficulties arise, however, when infringing goods are under the exclusive possession of the alleged infringer. The claim to secure evidence is provided for in Article 80(1)(i) of the Polish Act of 4 February 1994 on Authors Rights and Neighbouring Rights – ARNR – (in Polish: ustawa o prawie autorskim i prawach pokrewnych), published in Journal of Laws (Dziennik Ustaw) No 24, item 83, consolidated text of 16 May 2006, Journal of Laws (Dziennik Ustaw) No 90, item 631 with subsequent amendments. See “Trade mark law, case XXII GWo 68/12” for more on informational claims in Polish industrial property law proceedings. Categories: computer law | copyright infringement | copyright law | Directive 2004/48/EC | e-documents | e-evidences | e-law issues | EU law | informational claim | Polish Act on Authors Rights and Neighbouring Rights | Polish Appeallate Court | Polish courts | Polish law. The Polish Collecting Society ZAiKS sued the publisher Bauer and demanded the disclosure of data on sale and number of issues of magazines such as “Twój Styl”, “Tina”, “Claudia” and “Świat Kobiety” which have attached DVDs with different movies. ZAiKS wanted to use this information to determine the amount of royalties that would be eligible for filmmakers (writers and performers of music, screenwriters, etc.) from the sale of movies, attached by the publisher to all those magazines. Bauer refused, saying that ZAiKS has not shown that it actually represents the artists involved in the production of various movies. Among the films inserted in magazines published by Bauer were both Polish and foreign titles. ZAiKS, despite the failure to provide proper agency agreements with specific authors or foreign collecting societies, said, that it has the right to request such information based on the provisions of Article 105 of the Polish Act of 4 February 1994 on Authors Rights and Neighbouring Rights – ARNR – (in Polish: ustawa o prawie autorskim i prawach pokrewnych), published in Journal of Laws (Dziennik Ustaw) No 24, item 83, consolidated text of 16 May 2006, Journal of Laws (Dziennik Ustaw) No 90, item 631 with subsequent amendments. 1. The collecting society shall be presumed qualified to carry out the administration and protection of rights in the areas of exploitation in which its administration is conducted, and to engage in judicial proceedings associated therewith. This presumption may not be invoked where two or more collection societys claim competence in respect of one and the same work or performance. 2. In the course of its activity the collecting society may demand that information be communicated to it and that documents that are essential for the calculation of the amount of remuneration and fees that it claims be delivered to it. However, the courts did not agree with ZAiKS and dismissed the lawsuit. ZAiKS filed a cassation complaint. The Supreme Court in its judgment of 27 June 2013 case file I CSK 617/12 held that the case should be re-examined. The Court noted that the lower courts confused the order of proceedings. Information claims should be decided in the first place, for instance, as an interlocutory judgment. In order to challenge the legitimacy of a compensation claim, it must be shown that the other collecting society claims the protection of copyrighted works. It wasn’t enough only indicate that there is another organization working in the sector of ZAiKS’s representation. This principle also extends to the work of foreign artists. Categories: Art. 105 ARNR | collecting society | copyright infringement | copyright law | informational claim | Polish Act on Authors Rights and Neighbouring Rights | Polish courts | Polish Supreme Court | remuneration fee. ZAiKS, the Polish Collecting Society, sued an organizer of New Year’s Eve party for copyright infringement, and demanded 3177 PLN compensation – a triple of the amount corresponding to the remuneration calculated by the Society for public performance of works of authors who are associated with ZAiKS. The Society provided an advertisement of the party, an official memo of the police on parties and events that took place in this period of time, and a memo of the inspector who works for ZAIKS of a conversation with the organizer of the ball, as evidence. The District Court in Siedlce and the Appeallate Court in Lublin in its judgment case file I ACa 134/13 dismissed the case. The Court ruled that information about the event itself is not enough to claim damages for copyright infringement. Categories: Art. 79 ARNR | collecting society | copyright infringement | copyright law | copyright misuse | Polish Act on Authors Rights and Neighbouring Rights | Polish Appeallate Court | Polish courts | Polish District Court | Polish law. The District Court in Białystok in its order of 27 December 2012 case file VII GCo 71/12 dismissed the request of a copyright owner to secure evidence and to order a Polish ISP to disclose information on the personal data (name and address) that was associated with IP addresses of computers that were identified by a requesting party, and from which, via online peer-to-peer applications, unknown persons have made available different audiovisual works. The Appeallate Court in Białystok in its order of 7 February 2013 case file I A Cz 114/13 dismissed an appeal in this case. The Court noted that under Polish law there is no uniform procedure governing disclosure of personal data for the purposes of civil proceedings. The processing of personal data are governed primarily by the Polish Act of 29 August 1997 on the Protection of Personal Data – PPD – (in Polish: Ustawa o ochronie danych osobowych), unified text published in Journal of Laws (Dziennik Ustaw) of 6 July 2002, No. 101, item 926, with subsequent amendments, the Polish Act of 16 July 2000 on Telecommunications Law – TLA – (in Polish: Prawo telekomunikacyjne), published in Journal of Laws (Dziennik Ustaw) No 171, item 1800 with subsequent amendments and the Polish Act of 18 July 2002 on Providing Services by Electronic Means – PSEM – (in Polish: ustwa o świadczeniu usług droga elektroniczną), published in Journal of Laws (Dziennik Ustaw) No. 144, item. 1204 with subsequent amendments. These regulations guarantee the protection of personal data where their processing (including their disclosure) is always an exception to the rules for their protection. The provisions of Article 80 of the Polish Act of 4 February 1994 on Authors Rights and Neighbouring Rights – ARNR – (in Polish: ustawa o prawie autorskim i prawach pokrewnych), published in Journal of Laws (Dziennik Ustaw) No 24, item 83, consolidated text of 16 May 2006, Journal of Laws (Dziennik Ustaw) No 90, item 631 with subsequent amendments that were introduced to the system of protection of intellectual property rights as a result of the implementation of Directive 2004/48/EC, are solutions distinct and relatively independent of regulation included in the PPD, TLA and PSEM. The Court ruled that pursuant to Article 80 of the ARNR, an entity with a legitimate interest may request the competent court, among others, to secure evidence (Article 80(1) of the ARNR) and to oblige other person than the one that is infringing copyrights, to provide information that is relevant to future claims, if such a third party provides services used in infringing activities and such actions lead directly or indirectly to profit or other economic benefits (Article 80(1)(iii)(c) of the ARNR). d) the person specified in letters (a), (b) or (c) indicated a person who participated in production, manufacturing or distribution of goods or rendering of services in breach of the author’s economic rights and the purpose of any of the above actions is to generate, directly or indirectly, profit or any other economic benefit, although it does not include any actions by consumers acting in good faith. 2. If it admits any evidence or considers any applications referred to in paragraph 1, the court ensures that the operator’s business secrets as well as all other secrets protected by law are kept confidential. In this case, the request of the copyright owner included both legal instruments. In terms of the preservation of evidence, however, was it was worded incorrectly, because as noted previously, the applicant exclusively requested personal data that would allow him for identifying potential defendants in cases of copyright infringement. The Court ruled that these data do not constitute evidence for the purposes of the process. As a result, the Court decided on the obligation to provide relevant information as provided in the Article 80(1)(iii)(c) of the ARNR. The Court agreed with the opinion that the condition for the application of this provisions, as in the each case of temporary measures, is to authenticate the claim i.e. provide prima facie evidence that there is/was copyright infringement, and to describe its legal interest in obtaining the information. First, it is necessary to demonstrate a prima facie evidence of the claim that the applicant holds the copyright to the work. In this regard, “in favor” of the entity seeking legal protection speaks presumption provided in Article 15 of the ARNR according to which it shall be presumed that the producer or publisher is the person whose surname or the name is provided in the goods on which the work is embodied, or made public in any way in connection with the dissemination of the work. This provision implements the rule of presumption of authorship or ownership, as set out in Article 5 of the Directive 2004/48/EC. The applicant, who is a film producer, presented a printout from its website containing information about audiovisual works concerned. The Court assumed that the annotation “rights reserved”, justify the inclusion of the applicant presumption. The dispute in this case focused on the probable circumstances of unauthorized use (dissemination) of copyrighted works, and about the legal consequences, escalating in electronic communication, the phenomenon of exchange and distribution of files (mostly music or video), using peer 2 peer software. As a rule, it is assumed in the legal doctrine and the Appellate Court agreed with this opinion that, due to the fact that when the file is downloaded from the Internet by a user of a peer-to-peer program it is also simultaneously made available for downloading for others, such action is not part of an allowed personal use referred to in Article 23 of the ARNR. However, the Court noted that the very presence of files (copyrighted works) in resources of a user of a peer to peer file sharing network cannot automatically lead to a conclusion as to its distribution (making available) for the purposes of copyright law. The Court was aware that there is a technical possibility to block other users’ access to resources on a hard disk, which results in the fact that at the time the file is downloaded via peer-to-peer, it only provides packages – pieces of work, to download for others, which does not allow for its replication. Secondly, in order to provide its resources in peer to peer networks, a user is required the run a proper computer program. In this case, the Court agreed that all copyright works were made available beyond the allowed personal use (the concept similar to fair use). It has been proven that subscribers of the ISP have acquired copyrighted works (movies) via peer-to-peer networks (using programs such as µTorrent and BitComet), which were produced by the applicant. These movies were actually made available to other users, as it was testified by a witness. As a result, the Court has found the argument of a probable copyright infringement of audiovisual works owned by the applicant, as justified. There was no doubt also for the Court that the ISP is an entity referred to in the provisions of Article 80(1)(iii)(c) of the ARNR. The company provides commercial services that are used for public sharing of unauthorized copyrighted works – the ISP provides access to Internet for a fee, which is a forum of exchange and distribution of audiovisual files within the peer to peer networks. The Court agreed that the applicant had legitimate interest (locus standi) in obtaining relevant information. Such information would allow for identification/personalization of Internet users infringing copyrights, in order to properly initiate civil proceedings against them, and the proper preparation of a lawsuit. The Court noted that the information on the distribution networks, referred to in Article 80(1)(iii) of the ARNR, include, in principle, the data on entities (names and addresses) who unauthorized distribute works protected by copyright law and therefore infringe the copyrights of their owners. Consequently, pursuant to provisions of Article 80(1)(iii) of the ARNR the copyright owner of audiovisual works may require the ISP, to disclose personal data (name and address of residence) of entities who share and distribute audiovisual works protected by copyright in peer to peer networks. On the basis of Article 8 of Directive 2004/48/EC, providing information that would be used for the protection of intellectual property rights is conditional, and it’s based on the proportionality of the request. The principle of proportionality expresses the idea of making only those activities that are essential and necessary to achieve a particular purpose and those that are appropriate in the circumstances of a case, i.e. they restrict the rights of others as little as it is possible. In this situation, it was necessary for the Court to consider whether in the circumstances of this case, the objective of protecting intellectual property rights justified the abandonment of the protection of personal data of entities who allegedly infringed copyrights. The guidance on the interpretation of these rules are provided in the Directive itself, and more specifically in the provisions its preamble. Namely, in section 14, the Community lawmakers have clearly indicated that the measures include in Article 8 section 1 of Directive need to be applied only in respect of acts carried out on a commercial scale.. The reason for this is certainly the fact that commercial activities are carried out for direct or indirect economic benefit on a large scale and thus significantly affect the property rights of the creators of works. The principle of proportionality provided in Article 8 of Directive 2004/48/EC is also incorporated in Article 80(1)(iii) of the ARNR, which means that the disclosure of information, and the subject of the data, in particular personal data, the Court should decide, taking into account the weight and the scale of the infringement of copyrights, especially from the perspective of the actions of persons violating the law, for profit. According to the Appeallate Court, the applicant has failed to demonstrate that the request for access to personal data of individuals is in line with the principle discussed. First of all, on the basis of the evidence materials, it could not be assumed that different users have made available audiovisual works for commercial purposes. Secondly, the attached evidence showed that the case was dealing with eight different users who with the help of peer-to-peer networks have shared with only one movie, so the scope of the alleged infringements of copyright applicant, was not significant. Categories: Art. 23 ARNR | Art. 80(3) ARNR | computer crime | computer law | copyright infringement | copyright law | copyright misuse | Directive 2004/48/EC | e-law issues | EU law | ISP liability | legal regulations on computer networks | Polish Act on Authors Rights and Neighbouring Rights | Polish Act on Providing Services by Electronic Means | Polish Act on Telecommunications Law | Polish Appeallate Court | Polish courts | Polish District Court. Odsiebie.com was a hosting website operated by couple of administrators that were charged by the Prosecutor for fencing of computer programs and aiding in their disposal. The owners were detained for 24 hours and the domain name was locked. The Prosecutor Office was informed about alleged criminal activity by the employees and lawyers representing ZPAV i FOTA – two big Collecting Societies in Poland. The Regional Court for Wrocław Śródmieście, II Wydział Karny in its judgment of 6 March 2012 case file II K 1331/10 acquitted administrators of all charges. The appeal filed by the Prosecutor Office was dismissed by the District Court in Wrocław in its judgment of 6 February 2013. Categories: Art. 14 PSEM | Art. 15 PSEM | Art. 278 §2 CRC | collecting society | computer crime | computer law | copyright infringement | copyright law | criminal law | domain names | e-law issues | ISP liability | legal regulations on computer networks | Polish Act on Providing Services by Electronic Means | Polish courts | Polish Criminal Code | Polish District Court | Polish law | Polish Regional Court | Polish TLDs. A Polish citizen was charged by the Prosecutor Office for downloading from the Internet of 10 songs in MP3 file format in order to gain material benefits. The Regional Court in Mr.gowo in its judgment of 5 December 2012 case file II K 342/12 sentenced the defendant to imprisonment for six months and a fine, and suspended the execution of this judgment for three years. The Court ruled total penalty of 8 month of imprisonment and a fine, because the defendant was also charged for an illegally obtained copy of the Windows XP OS. Categories: Art. 115 ARNR | computer crime | computer law | copyright infringement | copyright law | e-law issues | Polish Act on Authors Rights and Neighbouring Rights | Polish courts | Polish law | Polish Regional Court. The Polish Collecting Society representing authors and composers sued an owner of a road restaurant that for nearly five years he played without a proper license agreement music from the television ads that were aired in news channels. The defendant claimed that he only uses the television as any citizen who pays subscription. The District Court in Częstochowa in its judgment of 27 October 2011 case file I C 179/11 decided that that playing music in a restaurant room for an unlimited number of people is deemed as communication to the public under the copyright law. The Appeallate Court in Katowice in its judgment of 13 April 2012 case file I ACa 129/12 found that the TV set at the restaurant aired mostly news programs and almost all TV programs are interrupted by advertising breaks in which background music is often broadcasted. It was obvious for the Court that the author was properly remunerated for the use of his work in advertising. However, in this case the court bent over considering that the author of the text or the music should have additional consideration for the publication of his work in the advertising. The Court concluded that, although the TV broadcast of interesting programs can affect customers and lead to the financial gain, however, viewing ads is not something attractive for them. As it was further noted, when it comes to public perception of advertising, one may even venture to say that they are pesky and daunting thing to watch the program. The Court held that broadcasting music that was aired in TV ads, does not lead to obtaining material benefits by the owner of the restaurant, thus charging penalty only on such grounds had to be considered as ineligible. Categories: Art. 79 ARNR | collecting society | copyright infringement | copyright law | copyright misuse | permissible use of copyrighted materials | Polish Act on Authors Rights and Neighbouring Rights | Polish Appeallate Court | Polish courts | Polish District Court | remuneration fee. The District Court in Katowice XIV Wydział Gospodarczy in its judgment of 7 August 2012 case file XIV GC 53/12/9 held that the owner of copyright of images and compositions depicting meat products and various kitchen props is the person who invented and prepared the composition and not the photographer. Categories: Art. 1 ARNR | copyright infringement | copyright law | copyright ownership | copyrightable subject matter | Polish Act on Authors Rights and Neighbouring Rights | Polish District Court. FS File Solutions Ltd. is the owner of a popular hosting website chomikuj.pl that allows for hosting different files by using a simple web interface. The Polish Chamber of Books (PCB) is Poland’s publishing industry trade body that found many of its titles available on chomikuj.pl without the permission of copyright holders. The PCB issued negative press and TV statements regarding chomiku.pl policy and business model. The Company sued the PCB for the infringement of its personal interests. FS claimed that by calling it “pirate service” the PCB infringed on its the company name (firm). The District Court in Warszawa I Civil Chamber in its judgment of 20 February 2013 case file I C 407/12 ruled that PCB did not infringed personal interests of FS. File Solutions filed an appeal. The Appeallate Court in Warsaw in its judgment of 10 October 2013 case file I ACa 689/13 returned the case to the District Court. Categories: Art. 14 PSEM | Art. 15 PSEM | Art. 23 CC | Art. 24 CC | Art. 43¹ CC | collecting society | company name or firm | computer crime | computer law | copyright infringement | copyright law | copyright misuse | e-law issues | ISP liability | legal regulations on computer networks | permissible use of copyrighted materials | personal rights or interests | Polish Act on Providing Services by Electronic Means | Polish Appeallate Court | Polish Civil Code | Polish courts | Polish District Court. The Supreme Administrative Court in its judgment of 9 March 2012 case file II FSK 1548/10 ruled that an agreement concluded between the advertiser company and the owners of websites is deemed as unnamed contracts, similar to tenancy contracts. The inclusion to the application of a third party code that allows for the inclusion of advertising on the website is in fact a violation of the integrity of the copyrighted work – the website. It is therefore the realm of personal (rather than property) rights of the copyright holders. Although these are inalienable rights, but according to the prior case-law, it is permitted to waive of the exercise of these rights by the creator to third parties, including entrepreneurs as it was decided by the Appellate Court in Warszawa in its judgment of 14 May 2007case file ACa 668/06 published in OSA 2008/12/39. The author or copyright owner can effectively commit to a specific person not to execute of personal rights, or even to allow for its exercise on his or her behalf, because then it comes to the exercise, and not to the renouncement of moral (personal) rights. Categories: advertising law | Art. 16 ARNR | computer law | copyright infringement | copyright law | copyright ownership | copyrightable subject matter | e-adverstising | e-law issues | legal regulations on computer networks | permissible use of copyrighted materials | Polish Act on Authors Rights and Neighbouring Rights | Polish Supreme Administrative Court | tax law. Helena Miazek is a well known Polish folk artist and creator of paper cuts that are based on the long tradition of Łowicz region. Wawel S.A. is a Polish manufacturer of sweets. The company used different graphics with folk elements on its products. Helena Miazek and Stowarzyszenie Twórców Ludowych in Lublin (The Folk Artists Association – a collecting society) sued Wawel for copyright infringement. The suit included a claim in which the Association demanded Wawel to provide information concerning the use of paper cuts on packaging products. Wawel argued that it has commissioned other artists to create these graphics. The District and the Appeallate Court dismissed the suit as unfounded. Both courts deemed the society as the entrepreneur which was obliged to prove that a particular copyrighted work was used without permission of the owner. The Association and Helena Miazek filed a cassation complaint. The Supreme Court in its judgment of 17 October 2011 case file III CSK 30/11 repealed the contested decision and returned it to the Appellate Court for further reconsideration. The Court had to decide on the nature of information claim afforded in Article 105(2) of the Polish Act of 4 February 1994 on Authors Rights and Neighbouring Rights – ARNR – (in Polish: ustawa o prawie autorskim i prawach pokrewnych), published in Journal of Laws (Dziennik Ustaw) No 24, item 83, consolidated text of 16 May 2006, Journal of Laws (Dziennik Ustaw) No 90, item 631 with subsequent amendments. Earlier Supreme Court case law is not too rich when it comes to this issue. The Supreme Court in its judgment of 8 December 2000 case file I CKN 971/98 published in OSNC 2001/6/97, pointed out that the provision included in Article 105(2) of the ARNR is a legal norm of substantive law, and the right of collecting societies to protect authors rights and neighbouring rights, exempts it from the obligation to provide the authority to represent, both in the trial for payment, or in any trial for disclosure of information and documents. The Supreme Court in its order of 17 September 2009 case file III CZP 57/09 held that the proceedings for disclosure of information and documentation is a new legal tool. The Court ruled that in the doctrine of civil law, it is reasonably assumed that if the right is strictly defined and concretized in terms of its content and subject, and when this right is merged with the obligation of another entity, then such a legal norm is substantive in its nature and in case of evasion by the bounded entity from the performance of an obligation imposed on it, the right takes the form of a claim which may be enforced through the courts. For instance, the claim to disclosure of information has the auxiliary nature under the contractual relationship between the collecting society and the producers and importers of tape recorders, video recorders and other similar apparatus, or blank material for the recording of works with the aid of such apparatus for personal and private use, and also of reprographic apparatus who are obliged to pay remuneration fees, for the benefit of the creators and performers of the said works and of the producers of phonograms and videograms. These creators and performers are represented in such cases only by the collection society. Such informational claim, which addressed to the same bounded entities, was created to ensure the proper execution of the basic right to equitable remuneration. Information and documents obtained during the trail are the basis for determining the amount of the fees enjoyed by collecting society, regardless of whether the society intends to pursue these fees in court. The Supreme Court in the case of Helena Miazek and and Stowarzyszenie Twórców Ludowych in Lublin decided that the informational claim also applies to information concerning the use of certain works by a third party. Categories: Art. 1 ARNR | Art. 104 ARNR | Art. 105 ARNR | Art. 8(3) ARNR | collecting society | copyright infringement | copyright law | informational claim | Polish Act on Authors Rights and Neighbouring Rights | Polish courts | Polish Supreme Administrative Court | remuneration fee. The Supreme Court in its judgment of 21 October 2011 case file IV CSK 133/11 held that the respective remuneration for the culpable infringement as defined in Article 79(1) pt. 3 letter b of the Polish Act of 4 February 1994 on Authors Rights and Neighbouring Rights – ARNR – (in Polish: ustawa o prawie autorskim i prawach pokrewnych), published in Journal of Laws (Dziennik Ustaw) No 24, item 83, consolidated text of 16 May 2006, Journal of Laws (Dziennik Ustaw) No 90, item 631, with subsequent amendments, does not depend on proof of actual damage that was suffered by the rightholder. Categories: Art. 79 ARNR | copyright infringement | copyright law | Polish Act on Authors Rights and Neighbouring Rights | Polish courts | Polish law | Polish Supreme Court. Maria S. was charged by the Prosecutor based on the provisions of Article 278 § 2 of the Polish Criminal Code – CRC – (in Polish: Kodeks Karny) of 6 June 1997, published in Journal of Laws (Dziennik Ustaw) No 88, item 553, with subsequent amendments. Article 278. § 1. Whoever, with the purpose of appropriating, wilfully takes someone else’s movable property shall be subject to the penalty of deprivation of liberty for a term of between 3 months and 5 years. § 2. The same punishment shall be imposed on anyone, who without the permission of the authorised person, acquires someone else’s computer software, with the purpose of gaining material benefit. Such situation happened because, during the investigation, the Police found on her laptop two shareware programs Win ZIP 8.1 and Win Rar 3.0. This software was valued 113,89 PLN each, and the period of time to buy a license already expired. Maria S. explained that she wasn’t aware that she had illegal software installed. She argued that both programs were installed by computer service technicians during the repair of her laptop. This statement was confirmed by a witness expert testimony. The expert said that both programs were installed at the same time, when the operating system was also configured. The expert noted that this is typical practice of computer services personnel who install software needed to install other programs, and do not remove it after the completion of repairing. At the time of installation of both programs, they were legal. The Regional Court in Biłgoraj acquitted Maria S. of all charges. The Court found that she did not act in order to gain material benefits and she had no full awareness that her behavior lead to the obtainment of computer programs without the consent of the person entitled. The Prosecutor appealed. He argued that Maria S. was guilty because she wasn’t careful enough, and she did not buy both licenses immediately. The District Court in Zamość in its judgment case file II Ka 269/11 upheld the verdict. The Court ruled that issues of normal or increased diligence or care that should appear in case of expired trial or shareware software, do not belong to the category of the constituent elements of the alleged offense. Categories: Art. 278 §2 CRC | computer crime | computer law | copyright infringement | copyright law | criminal law | e-law issues | Polish Criminal Code | Polish District Court | Polish Regional Court. Maryla Rodowicz is a well-known singer in Poland. She composed and recorded a song entitled “Marusia” about a Russian soldier-girl that was one of heroines from the book “Czterej pancerni i pies” written by Janusz Przymanowski. Mrs Rodowicz also created a video clip for this song. You can easily search and find it on YouTube. She used 3 minutes of the TV series entitled “Czterej pancerni i pies” where Marusia is portrayed by Polish actress Pola Raksa. Mrs Rodowicz paid 9.000 PLN of licensee fee to the producer Telewizja Polska S.A. A widow of the writer filed a copyright infringement suit claiming that this ridiculous video violated his personal and economic copyrights. The Appellate Court in Warsaw in its judgment of 27 October 2011 case file VI ACa 461/11 had to answer the most important question, i.e. what was the nature of the video clip. Expert witnesses that were appointed by the agreement of both parties stated that the video is not an inspired work, because it directly incorporated some parts of the TV series. It wasn’t also a derivative work since it did not creatively transform the original work. Experts said that this was a work with borrowings, that copied fragments of someone else’s work where the right of quotation was exceeded. However, such use requires the consent of the copyright holder. The problem was that the producer was not able to provide the agreements from the time when the series was produced. The Court held, that in this case copyrights to the script are in the hands of creators, including Mr Przymanowski and his heirs. The Court ordered Maryla Rodowicz to pay 37.000 PLN of compensation. Categories: Art. 2 ARNR | Art. 29 ARNR | Art. 79 ARNR | copyright infringement | copyright law | derivative work | permissible use of copyrighted materials | Polish Act on Authors Rights and Neighbouring Rights | Polish Appeallate Court | quotation right. The Polish Filmmakers Association (SFP) sued a local cable television. The dispute concerned unpaid royalties, because this local TV rebroadcasted movies without a proper agreement with the Collecting Society. SFP is the only of such collection societies in Poland responsible for the management for movies and TV series. The court ordered the TV station to cease rebroadcasting, and ordered to pay compensation equivalent to triple rates of remuneration. The TV station argued that the calculation of damages was based on rates that are not market prices, since they have benn negotiated and established by the only organization on the market. The case went to the final instance. The Supreme Court in its judgment of 15 June 2011 case file V CSK 373/10 held that a court cannot prohibit rebroadcasting of TV programs, if it was a part of the activity of a cable television, even if rebroadcasting was made without the consent of the collecting society. If the parties argue about rates for rebroadcasting, the court shall appoint a witness expert, because the rates that are used by the collecting societies for rebroadcasting are not market rates by definition, because they were adopted by one organization. Moreover, the Court ruled that the claim for payment of double of the respective remuneration as provided in Article 79(1) pt. 3 letter b of the ARNR, is a special way of protecting author’s economic rights. It has the compensatory nature, and it’s not required to demonstrate evidence of the culpability of the person who used copyrighted work without the required permit, the damage that was suffered by the rightholder and benefits that were acquired by the infringer, during the suit. Categories: Art. 21¹ ARNR | Art. 79 ARNR | broadcasting law | collecting society | Copyright Commission | copyright infringement | copyright law | permissible use of copyrighted materials | Polish Act on Authors Rights and Neighbouring Rights | Polish Supreme Court | remuneration fee. Stan Borys is a Polish singer and author of the lyrics to the song “Chmurami zatańczy sen”, which was composed in 1974. A longer excerpt from the chorus “Ciemno juz zgasły wszstkie światła, ciemno już, noc nadchodzi głucha” has been used by Ryszard Andrzejwski, a Polish raper called PEJA as a sample in his song “Głucha noc” which was recorded in 2001 and released by his publisher T1-Teraz sp. z o.o. on two albums in 2001 and 2002. These albums were distributed by EMI Music Poland. The sampled part was transformed by changing the voice octave and by increasing the music tempo. The song became a hit that was aired in radio and television stations. CT Creative Team S.A. sells multimedia content to mobile phones based on SMS and WAP technology using Premium Rate numbers. On 26 August 2003 the company entered a license agreement with T1-Teraz for distribiution of short fragments of songs recorded by PEJA. This also included 30 seconds of “Głucha noc”. These music pieces were uploaded to CT Creative MEdia server. CT was obliged to pay 0,15 PLN for each downloaded fragment, the payment followed within 14 days after the end of each calendar quarter. CT was also required to provide an additional statement containing the information on songs/fragments used together with the original titles, numbers of downloads and numbers of fees charged. A year later the two companies signed an similar agreement with a fee 0.,5 PLN per downloaded song. In the period from September 2003 to October 2005, this song has been downloaded 859 times as a phone ringtone and CT earned 3465 PLN. Stan Borys found out about this song in 2004. To his surprise, he was informed at the press conference, held together with PEJA. Resentful of this situation, he explained that he did not consent to the use of his song by PEJA. His attorney requested the CT Creative to stop distribution of the song and the ring tone was withdrawn. Stan Borys sued CT, T1-Teraz, and Ryszard Andrzejewski. The District Court in Warsaw in its judgment of 14 September 2010 case file I C 626/06 held most of the claims were justified. The Court ruled that the fragment used by PEJA by its transformation constitutes a derived work made from the work of Stan Borys. The manner of disposal of the derived work and the use thereof should be subject to the consent of the creator of the original work (the so-called dependent copyright), except where the economic rights in the original work have expired. Stan Borys is entitled to protection of his moral and economic rights. The court disagreed with the argument that the license agreement allows for the free dissemination of the work as specified in the agreement. The obligation to indicate the creator of the original song is saddled with both the creator of derived work (if one does not do that he or she risks the charges of plagiarism) and that one who distributes a derived work. The Court cited the judgment of the Appellate Court in Warsaw of 14 March 2006 case file VI ACa 1012/05. See “Copyright law, case VI ACa 1012/05“. The court found that the lack of consent on the creation of a sample and dissemination of the work and the lack of designation of the author of the original work is the evidence of unlawful infringement of copyright and the rights to artistic performance by the CT Creative. In the assessment of the Court, the infringement was culpable in the form of at least negligence because it was associated with lack of diligence in examining whether distributed ringtones are not other people’s songs/works and such an obligation results from the professional nature of CT Creative’s business. However, intentional guilt can be attributed to CT Creative from 12 September 2005 when the company received a corresponding letter from Stan Bory’s attorney. The court ruled that as a result of CT actions Stan Borys was deprived of possibility to exercise his rights of supervision over the use of the work, authorship rights and rights to cause the work to appear under his name and surname. The court also took into account the form in which the infringement has occurred. Stan Borys claimed that this violation was for him the more severe because the fragment of “Chmurami zatańczy sen” has been distorted in a caricature way and it was used in hip hop song, which included obscene words. Stan Borys did not and does not want to have nothing in common with this genre of music. The Court agreed with the argument that creating this sample in this given form depreciated previous works of Stan Borys. The court held that there is a causal link between the activities of CT Creative and the harm and damage caused to Stan Borys. This applied both to his personal rights (intangible) and economic rights to the copyrighted work because he did not receive any remuneration for the distribution of. The court ordered the cessation of the use and distribution of the work and ordered to pay 15000 PLN for the infringement of personal rights and 10000 PLN for the infringement of economic rights and rights in performance (three times of the equitable remuneration, which at the time of the enforcement would be payable to the entitled person for granting the permission for the use of the work), and to publish an apology. CT Creative appealed. The Appeallate Court in Warsaw in its judgment case file I ACa 787/11 reversed the sum of compensation and send the case back for reconsideration. Categories: Art. 1 ARNR | Art. 16 ARNR | Art. 17 ARNR | Art. 78 ARNR | Art. 79 ARNR | copyright infringement | copyright law | derivative work | media law | moral rights | Polish Act on Authors Rights and Neighbouring Rights | Polish Appeallate Court | Polish courts | Polish District Court | quotation right. The Polish company KREA sp. z o.o. prepared a label design for yoghurt packaging that was commissioned by Wojciech Jurkiewicz. The Company contacted a freelance graphic deisgner to create word-figurative trade mark, which was to be placed on this packaging. KREA acquired all copyrights. Wojciech Jurkiewicz filed for trade mark registration but the PPO refused to grant the right of protection. Mr Jurkiewicz was also sued by KREA and the District Court ordered the defendant to cease the copyright infringement of economic rights owned by KREA to the word-figurative trade mark JOGI by deisisting from using of the sign in any form in the course of economic activity and ordered Mr Jurkiewicz to pay 51.000 PLN. The Appelate Court changed the judgment only by reducing the amount awarded to 15.000 PLN. KREA also filed a suit against OBORY sp. z o.o., claiming copyright infringement of its word trade mark JOGI. The Company argued that the binding force of the judgment against Mr Jurkiewicz extends to a conclusion that JOGI word is deemed as a copyrightable work. The Supreme Court in its judgment of 22 June 2010 case file IV CSK 359/09 held that only the dictum is the binding element of a judgment, not its motives, therefore, the previous judgment has no expanded legitimacy. It was not a reasonable argument that the earlier cited judgment in case against Wojciech Jurczyński would always be the official confirmation of the plaintiff’s copyright to a word sign. 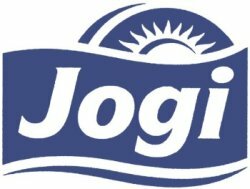 The idea for the word “JOGI” (which existed previously in the public domain) as a designation for drinking yoghurt, is nothing creative or original. The Court noted that the opinion that copyright law does not use the novelty condition in the objective sense, but in subjective terms, is dominating. The condition of work’s “originality” is satisfied if there subjectively exists a new product of the intellect. One may say about the self-creativity only if the created work was not previously known in the same form, and thus it manifests itself in an objectively tangible result of creativity. The approach presented by KREA, which lies almost on the presumption of fact that every product of human intellectual is a protected copyrightable work, without demonstrating of its creative elements, has no support in the ARNR and is too far reaching. In a wider perspective, such conclusion would be the risk of depreciation of the concept of creativity in general. In principle, a single word, not only these taken from everyday language, but also the unknown words or neologisms, do not have the characteristics of creativity. Only one-word titles, or slogans, may be exemption to the aforemtnioned rule when applied to specific situations, when they are characterized by a startling clarity and brilliance, make poetic of the whole work, are the “key” to understanding of such work. The Polish legal doctrine and case law have long since stopped using the term “pure art” and promoting the traditional cultural role, which the right had to serve. The concept of “copyright work” is recognized widely, with persistent tendency to mitigate the criteria governing the granting of copyright protection, such as creativity, originality and individuality. The evidence of such actions is presented in the protection of the products of which contain a small contribution to creative work, and characterized by even a small degree of originality and individuality. In this context, the concept of “boundary categories of works” is used and also – in principle – the possibility of granting copyright protection to small products of human activity that are designed for purely utilitarian and practical use, is not denied. The ARNR protects works created not only for artistic purposes and does not refuse the protection for works created solely for commercial (industrial, merchandising) purposes, but only in so far as the work has such characteristics that are required for any other copyrightable work. The utilitarian purpose of copyrightable works, created solely for the intended use in a certain way, is typical for the objects that are subject to industrial property rights, in particular industrial designs and trade marks In the case of the latter it most often applies to word-figurative trade marks. In Polish law it is permissible to accumulate of certain intangible property/econimic rights, including trademarks being also copyrightable works and industrial designs/copyrightable works. In the opinion of the Supreme Court, the mere use of a word as a trade mark should not affect the possibility of its recognition as a copyrightable work, since the existence of such work cannot depend on its specific purpose. The way of using a given work does not decide on the statusu of its copyrightability. The word “JOGI” does not show originality, which could allow for an exception to the generally accepted principle that single words do not have creative characteristics. It has no autonomous characteristics of the copyrightable work, and it isn’t a copyrightable work because of someone “invented” a particular way of its use as a trade mark, or designation of a particular type of goods originating from a particular undertaking. Categories: Art. 1 ARNR | Art. 17 ARNR | Art. 365 CPC | Art. 79 ARNR | copyright infringement | copyrightable subject matter | Polish Supreme Court | threshold of creativity. Hasbro company filed copyright infringement suit against INTERKOBO Sp. z o.o., a Polish company that imports and distributes games, toys and sports articles, mainly from China, Hong-Kong and Taiwan. Hasbro claimed that Interkobo by acts of importation, advertising and selling of games such as “Colour Twist”, “Who is it?”, “Worldbusiness” infringes on Hasbro’s copyrights. The District Court in Łódź in its judgment of 8 December 2009 case file X GC 74/08 based its findings on expert witness with regard to formal analysis of works in question as to whether games imported by Interkobo infringes on Hasbro’s rights. The Court agreed with the expert that the abstractly conceived rules of the game are ideas that cannot be copyrighted. The authorship of a game understood as a set of abstract rules by which the game is to take place cannot be granted. The court did not excluded the protection of such abstract rules of the game based on the general principles of the civil law, but acknowledged that it remains outside the subject matter of the case and did not provide further arguments in this regard. The Court also took into account that Hasbro is a foreign company and according to provisions of Article 2(6) and Article 5(2) of the Berne Convention, the protection of its rights should be governed exclusively by the laws of the country where protection is claimed, i.e. the Polish Act on Authors Rights and Neighbouring Rights – ARNR – (in Polish: ustawa o prawie autorskim i prawach pokrewnych) of 4 February 1994, published in Journal of Laws (Dziennik Ustaw) No 24, item 83, consolidated text of 16 May 2006, Journal of Laws (Dziennik Ustaw) No 90, item 631, with subsequent amendments. Categories: Art. 1 ARNR | Art. 17 ARNR | Art. 79 ARNR | Berne Convention | copyright infringement | copyrightable subject matter | derivative work | Polish District Court. This is the continuation of a story decribed in “Trade mark law, case VI SA/Wa 2284/08” that concerned the trade mark HERITAGE FILMS. The Supreme Administrative Court in its judgment of 10 August 2010 case file II GSK 746/09 dismissed the cassation complaint brought by Zygmunt Piotrowski. The SAC held inter alia that the provisions of the TMA or the IPL do not provide in the course of the litigation proceedings lead by the Polish Patent Office, for the possibility to control the legality of the administrative proceedings that concerned the registration of a given trade mark. The legality of a decision granting the right of protection should be challenged in different proceedings. The Court noted that Mr Piotrowski confused the concepts of “invalidation of the registration right” or “invalidation of right of protection for a trade mark” with the annulment of the decision on the granting of the right. There are different grounds for such decisions and other procedures on their issuance, but in case of the breach of the provisions listed in Article 29 of the Trade Marks Act, those conditions may overlap, and only in this case they might be raised in the opposition proceedings. Consequently, the invaliditon of the protection right, although identical in its consequences, cannot be identified with the institution of the annulment of the decision on the granting of the right of protection. Categories: Art. 1 ARNR | Art. 131(1)(i) IPL | Art. 144 IPL | Art. 156 §1 pt 2 APC | Art. 164 IPL | Art. 253(2) IPL | company name or firm | copyright infringement | copyright law | copyright misuse | copyright ownership | distinctive character | generic sign | personal rights or interests | Polish Act on Authors Rights and Neighbouring Rights | Polish Administrative Proceedings Code | Polish Supreme Administrative Court | trade mark invalidation | trademark law. Passa Company sued its competitor – Informator Handlowy Publishing House for the copyright infringement of personal and economic rights to a few ads that were published by Passa. Passa argued that Informator Handlowy copied, altered and distributed these advertising in its magazine, including photographs that were used by Passa. Informator Handlowy argued that it has received all the published materials from its advertisers and they should be the defendants in this case. IH also argued that the advertisements at issue are not protected by copyright law, since they do not have the characteristics of the copyrightable work. They rely solely on the computer alteration, without the creative factor, and photographs (walls, roofs and chimneys) do not have the nature of the copyrightable work because they do not contain any creative element. The District Court in Lublin ruled that photographs that were used in ads cannot be protected by provisions of the Polish Act of 4 February 1994 on Authors Rights and Neighbouring Rights – ARNR – (in Polish: ustawa o prawie autorskim i prawach pokrewnych), published in Journal of Laws (Dziennik Ustaw) No. 24, item 83, consolidated text of 16 May 2006, Journal of Laws (Dziennik Ustaw) No. 90, item 631. However, the Court also held that these advertisements are subject to copyright protections as provided in article 1 of the ARNR because they meet the criterion of individuality (creativity of the plaintiff) and originality (they presented a visible margin of creative freedom, own personal choice of treatment of the subject). The Court held that the publication of advertisements without consent of Passa infringed its copyright. The Court also ruled that there were no conditions for the adoption of the liability of the defendant under the provisions of article 17 and 79 of the ARNR. The Appellate Court in Lublin in its judgment case file I ACa 206/10 confirmed the findings of the court of first instance as to the copyright infringement of advertisings, but also pointed out that the District Court misinterpreted the law. The Court held that in a situation where the use of the work is illegal (there is no agreement to use copyrighted work or the provisions of fair use/allowed use cannot be applied), i.e. such use is made without the consent of the creator, his claims are set out in article 79 of the ARNR, including the right to equitable remuneration. A defendant in such case can be anyone who infringes on creator’s right. The Court emphasized that copyright protection vest in the owner against anyone who violates those rights. It did not matter that the advertisements were published on behalf of Informator Handlowy’s clients and that the infringer was in good faith or it has exercised due care. See also “Copyright law, case I ACa 2/96“. The Appellate Court found that the Court of First instance was wrong to rely on Article 42(2) of the Polish Act of 26 January 1984 on Press law – APL – (in Polish: ustawa Prawo prasowe), published Journal of Laws (Dziennik Ustaw) No. 5, item 24, with subsequent amendmets. The publisher and the editor is not responsible for the content of announcements and advertisings published in accordance with article 36. That provision concerns the responsibility for the content and form of advertising, or infringement of the rights associated with breaking the rules of social coexistence, or any legal prohibition of advertising, such as alcohol, cigarettes, or the Act on Combating Unfair Competition. This provision does not cover the issue of infringement of copyright. See also “Press law, case V CK 675/03“. The Appellate Court referred the case back for retrial because of the scope of procedural and material errors, including rejection of a motion for admission of an expert as to the estimate of the amount of compensation, the lack of assessment of all material. Categories: Art. 17 ARNR | Art. 42(2) APL | Art. 79 ARNR | case law | copyright infringement | copyright law | copyrightable subject matter | Polish Act on Press Law | Polish Appeallate Court | Polish District Court | quotation right. The Supreme Court in its judgment of 19 September 1975 case file I CR 312/75 held that flower compositions (ikebana) were works of art within the meaning of the old Polish copyright law, and that the defendant by publishing of photographs of these compositions and their distribution infringed on authors’ rights (moral rights) of the creator of these compositions. In addition, the Court noted that the limitations of the rights to distribute works and to remuneration, governed by the old copyright law, in the name of social interest (use), meant that in the cases provided for in the cited provisions it was allowed to distribute copyrighted works, and use these works in principle, without paying remuneration, and thus deprive the holders of their rights. Categories: copyright infringement | copyright law | copyright ownership | copyrightable subject matter | derivative work | expropriation of copyright | moral rights | permissible use of copyrighted materials | Polish courts | Polish law | Polish Supreme Court | threshold of creativity. 2) to obtain the respective players’ consent to do so. In 2006 the national football team participated voluntarily in a photo shoot. All players were duly informed as to what purposes the pictures would serve, and how they would be used. However, no formal consent forms were signed. The players did not sign any Representative’s Cards (which explicitly stated the player’s obligation to participate in events such as i.e. the photo session in question) either. Additionally, none of the players received any remuneration for the photo session. And that’s what’s most problematic in this case. Pursuant to article 81 of the Polish Act on Authors Rights and Neighbouring Rights – ARNR – (in Polish: ustawa o prawie autorskim i prawach pokrewnych) of 4 February 1994, published in Journal of Laws (Dziennik Ustaw) No 24, item 83, consolidated text of 16 May 2006, Journal of Laws (Dziennik Ustaw) No 90, item 631, with subsequent amendments, the right to disseminate the image of a person does not require the consent of that person (unless explicitly stated otherwise) if that person had received an agreed to remuneration. The Court of first instance found for Zurawski, however the appeal court reversed and dismissed the case. The reason of that were differing interpretations of article 33(2) of the Act on Qualified Sports – AQS – (in Polish: Ustawa o sporcie kwalifikowanym) of 29 July 2005, Jurnal of Laws (Dziennik Ustaw) No 155, item 1298, with subsequent amendments, which was relied on by TP S.A. and PZPN in their argumentation. each member of the national team, grants an exclusive right to his/her image in the national representation team outfit, to an appropriate athletics association, which is then entitled to use that image for economic purposes within the scope set forth in the Statute of that association or other international organization active in that field. However, the very same article in sec. 2 states that the representative does indeed give his/her consent to disseminate his/her image in the national representation team outfit, however he/she does that within the meaning of article 81(1) of the ARNR. And this led to two different interpretations by two different courts: court of I instance held that article 33(2) of the AQS creates a direct duty to obtain a separate consent from the sportsman, whereas the appeal court found that such consent is impliedly given the moment the athlete (here football player) joins the national team. The SC agreed with the latter interpretation, stating that by joining the national team the player does indeed agree to a significant limitation on his right to image, whenever the image consists of him in the national representation’s outfit. Other than that he retains full rights to his right to publicity (in particular image). Hence, Żurawski ultimately lost the case. Categories: advertising law | Art. 81 ARNR | case law | copyright infringement | copyright law | copyright ownership | copyrightable subject matter | image | media law | moral rights | personal rights or interests | Polish Act on Authors Rights and Neighbouring Rights | Polish Appeallate Court | Polish District Court | Polish Supreme Court | right of publicity. A person who was acting without the authorization of the rightholder, sold in order to gain material benefits, a copy of a design of single-family house XENIA. The design was owned by the Project Studio Archipelag. The District Prosecutor’s Office qualified his actions as a criminal offense under article 117(1) and article 115(3) of the Polish Act of 4 February 1994 on Authors Rights and Neighbouring Rights – ARNR – (in Polish: ustawa o prawie autorskim i prawach pokrewnych), published in Journal of Laws (Dziennik Ustaw) No. 24, item 83, consolidated text of 16 May 2006, Journal of Laws (Dziennik Ustaw) No. 90, item 631, with subsequent amendments. Art. 117. 1. Any person who, without authorization or without respecting the conditions imposed, fixes or reproduces another’s work in its original version or in a derived form, or a performance, a phonogram or videogram or a broadcast, at the same time authorizing the disclosure thereof, shall be liable to a term of imprisonment of up to two years, restriction of freedom or a fine. 2. If the perpetrator of the infringement defined in paragraph 1 has made the infringement into a permanent source of income, or if he organizes or directs the offending activity referred to in paragraph 1, he shall be liable to a term of imprisonment of up to three years. The Regional Court in Warsaw filed a question of law to the Constitutional Tribunal. The Court asked whether article 115(3) of the ARNR satisfy the requirement of preciseness, because it does not precisely define what actions are penalized by this provision. The Court noted that the construction of the aforementioned provision is deemed by the Polish doctrine of law as defective, because the phrase “in a manner other than (…), infringes the rights” is devoid of characteristic of criminal offenses, which in turn makes it impossible to identify what behaviors shall be punished. This is contrary to a fundamental principle of criminal law – nullum crimen sine lege, which is also included in the article 42(1) of the Constitution. The definition of a crime shall be strictly construed and shall not be extended by analogy. The Court also pointed out that the scope of criminal penalties set by provision of article 115(3) of the ARNR are in fact too broad and unduly limits the rights and freedoms. Furthermore, this provision is particularly generous to authors, performers, producers of phonograms and videograms and broadcasting organizations. Namely, any breach of their rights, creates criminal liability. The Constitutional Tribunal in a decision of 21 October 2009, case file P 31/07, discontinued the proceedings because of the inadmissibility to issue a judgment. The decisions was based on the fact that the request contained defects in the form. Categories: Art. 115 ARNR | Art. 117 ARNR | Art. 42 Constitution | case law | copyright infringement | Polish Act on Authors Rights and Neighbouring Rights | Polish Constitution | Polish Constitutional Tribunal. The Appeallate Court in Warszawa in its judgment of 11 May 2007 case file I ACa 1145/06 held that creation of layout and graphic form of the portal, as well as its improvement and change over the use of such a web portal is in the definition of a copyrightable work as provided in the Polish Act of 4 February 1994 on Authors Rights and Neighbouring Rights – ARNR – (in Polish: ustawa o prawie autorskim i prawach pokrewnych), published in Journal of Laws (Dziennik Ustaw) No 24, item 83, consolidated text of 16 May 2006, Journal of Laws (Dziennik Ustaw) No 90, item 631 with subsequent amendments. Categories: Art. 1 ARNR | computer law | copyright infringement | copyright law | copyright ownership | copyrightable subject matter | legal regulations on computer networks | Polish Act on Authors Rights and Neighbouring Rights | Polish Appeallate Court. In the town of Bochnia, the so-called annual “Bochnia Independence Half-Marathon” used to take place. The event had been organized by the town and county authorities, in collaboration with the originator, one Zenon G., ever since year 2001. As the name indicates – the event’s primarily purpose was to celebrate the regained independence of the town of Bochnia and attracted a substantial amount of participants each and every year. The cooperation between the county and the “founding father” lasted for 4 happy years until it was broken off abruptly in 2005, due to a dispute that sparked over money. The authorities of Bochnia decided to organize the marathon on their own, without either the help or the permission of the originator. This understandably got the latter’s hackles up. The case ended up in court. The District Court in Tarnów in its judgment of 20 December 2007 case file I C 238/06 held that the route of the half-marathon is an artistic work. The originator accused the county and the mayor of infringing his copyrights, claiming that both the initiative as well as the sole idea to organize the run, along with the manner in which the whole event was planned and arranged, met the prerequisites of an artistic work within the meaning of the polish copyright law, including the requirements of “creativity” and “individual character”. The Court before which the case appeared, agreed with the Claimant’s theory and held that whenever talking about an artistic work within the meaning of Article 1 of the Polish Act of 4 February 1994 on Authors Rights and Neighbouring Rights – ARNR – (in Polish: ustawa o prawie autorskim i prawach pokrewnych), published in Journal of Laws (Dziennik Ustaw) No 24, item 83, consolidated text of 16 May 2006, Journal of Laws (Dziennik Ustaw) No 90, item 631 with subsequent amendments, “the entirety of features, in their original juxtaposition” should be taken into consideration. The Court emphasized that the fact that the commonly available elements had been used to create the work, does not necessarily mean that such work does not fall within the definition of an artistic work under the Article 1 of the AARNR. Although, as a matter of rule, such individual elements, in and of themselves, are never protected under the polish law, any and all compilations thereof do get protection so long the manner in which they’re segregated, arranged and presented demonstrates certain degree of originality and creativity. In the Court’s opinion the process of creating a work is a subjective one and is a “projection of the author’s imagination”. If the result of such process is original and unique enough (meaning it can be easily distinguished from any other results of human activity), then it shall be protected by law as an artistic work. This happens every time we deal with a specific configuration of elements, particularly relevant and accurate when juxtaposed with the intended result, where the author uses his unbound discretion to select and arrange such elements. To apply this to the case at hand, the Claimant’s idea to organize the half-marathon to celebrate the town’s Independence Day along with a scrutine preparation of the marathon race plan so as to obtain a special certificate of the Polish Athletics Association, meet the requirements of an artistic work, as understood by the Act. The fact that similar race events had been organized by the town of Bochnia long before 2001 remained without any effect on the Court’s conclusion. In particular the Claimant prepared the race plan independently, selected the respective streets of the city in such a way that the whole race plan would constitute an entirety, had a proper paving, that is a hardened one, and so that there were no substantial differences in route gradient. The race plan should take account of the conditioning of the terrain, routes of public transportation and additionally the length of the route should equal half the length of the actual marathon. Moreover, the Claimant saw to it that the race plan be certified and the result, which the participants of the race would likely achieve, could be comparable to those achieved in other like races in the country. The race plan has been recorded in the form of a map with the marathon route marked on it and the race description attached. To plan the route in such, and not other, way determines its originality and creativity, since no one has ever before drew the route of the Bochnia race in such topographic layout. To conclude, the District Court in Tarnow held that by organizing the “Bochnia Independence Half-Marathon” against the will of the originator and using the race plan prepared by him, the Respondents infringed upon the latter’s copyrights. Hence, the Claimant was entitled to the protection of the polish copyright law. In the Court’s opinion the Respondents should have never free ridden on someone else’s creative efforts and should have come up with their own idea and race plan. Categories: Art. 1 ARNR | case law | copyright infringement | copyright law | copyrightable subject matter | Polish Act on Authors Rights and Neighbouring Rights | Polish courts | Polish District Court | Polish law. In 1990, Zygmunt Piotrowski who is a well-known Polish graphic artist, created the logotype that depicted the porch with columns and attic finial of the Penderecki’s house in Lusłwice with “heritage” inscription underneath. It was created for the Heritage Promotion of Music and Art company, whose founders were Elżbieta Penderecka and Janusz Pietkiewicz, later the director of the Polish National Opera. The logotype was adopted by the Heritage Films company that was founded in 1991 by Janusz Pietkiewicz and Lech Rywin after the withdrawal of Elżbieta Penderecka from Heritage Promotion of Music and Art company. At the request of Heritage Films, the Polish Patent Office in its decision of 27 June 2001, case no. Sp. 3/97 invalidated the word-figurative trade mark Heritage R-87806 belonging to the Piotrowski’s company. The Supreme Administrative Court in its decision of 14 December 2001 case file II SA 3446/01 confirmed the decision of the PPO, and dismissed the cassation complaint. The SAC clearly stated that the English word “heritage” is not a generic term for the services it was registered for, nor does it inform about its properties, quality or usefulness. Therefore “heritage” word can be used as a trade mark. It is not widely known or used in the market in order to identify such services as impresario and management consultancy services, the recruitment and placement of people for work for orchestra, soloists and artists of various disciplines of art. However, the court held the the company name could be an obstacle to grant the rights of protection for a trade mark. It was unclear for the SAC why the PPO’s decision lacks the explanation as to why the picture of the porch with the HERITAGE inscription makes the right to the company name (which was existing from 1991) impossible to be applicable as grounds for the invalidation. If the reason would be the recognition of the word HERITAGE to be protected by copyright law as the title, it should be better clarified. It was more necessary for the Court because the title could benefit from the copyright protection “only in very exceptional circumstances”. The case went back to the PPO. On 17 April 2002, the Polish Patent Office invalidated of the right of protection of the trade mark HERITAGE R-87806. One more time Mr Piotrowski filed a complaint before the Supreme Administrative Court. The SAC in its judgment of 12 March 2003 case file II SA 1867/02 ruled that in accordance with the general rules, in the event of a collision between company name (the firm) and trade mark that has been registered with the “later precedence”, the priority shall be given to the right that existed earlier. A year later, the Polish Patent Office registered the trade mark Heritage Films R-151966. Zygmunt Piotrowski has requested the invalidation proceedings argued that the trade mark Heritage Films infringes on his personal and economic rights afforded by the copyright law. The PPO rejected the request claiming the word “heritage” is a common expression and regardless of its importance for the artist it is not eligible for the copyright protection. Piotrowski filed a complaint against this decision. The Voivodeship Administrative Court in Warsaw in its judgment of 15 April 2009 case file VI SA/Wa 2284/08 ruled that the word “heritage” has no distinctive character and may be registered only in composition with some other description. And because it is not a subject of copyright protection the request had to be dismissed. Zygmunt Piotrowski has already announced he is going to file a cassation complaint. Categories: Art. 1 ARNR | Art. 131(1)(i) IPL | Art. 144 IPL | Art. 164 IPL | Art. 253(2) IPL | Art. 8(1) TMA | Art. 8(2) TMA | company name or firm | copyright infringement | copyright law | copyright misuse | copyright ownership | distinctive character | personal rights or interests | Polish Act on Authors Rights and Neighbouring Rights | Polish Act on Trade marks | trade mark invalidation | trademark law | Voivodeship Administrative Court.